"I know it is wet and the sun is not sunny, but we can have lots of good fun that is funny," said the Cat in the Hat! He always rhymes the right words, and danced the right moves. He is truly the cat's meow! So, why not get your copy of your favorite Dr. Seuss book, then get ready for a good time. 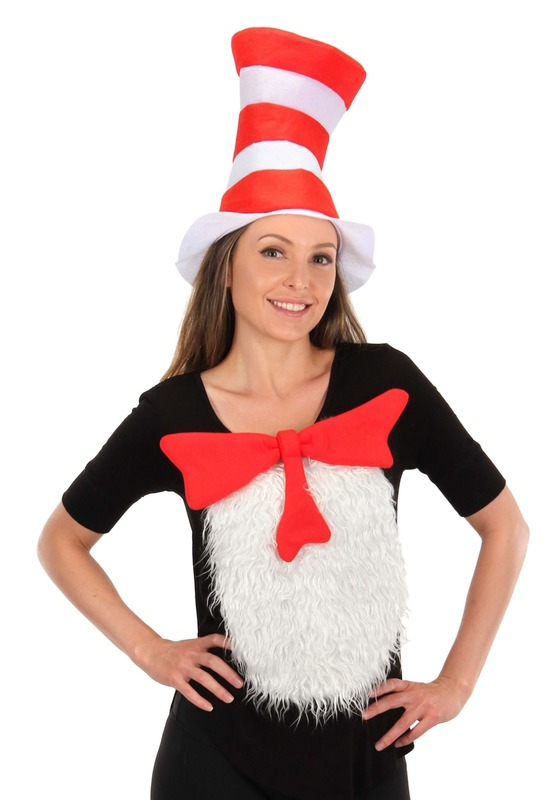 Now your kid can be just like the magical Cat in the Hat with the Kid Cat in the Hat Insta-Tux kit. The tall red and white hat will adorn their heads as they spin the rhymes. A white furry patch with a red bow tie will bring together the iconic look as they quote the world renown Dr.Seuss. Oh, the places you'll go as The Cat in the Hat!